David Youngclaus, 21, of Hanson, was arrested on Thursday morning on several Massachusetts Drunk Driving Charges following a crash in Abington. Youngclaus was arraigned yesterday in Brockton District Court on several OUI / DUI Charges, including Operation of a Motor Vehicle While Under the Influence of Alcohol and Negligent Operation of a Motor Vehicle. According to the Abington Police Department, David Youngclaus allegedly crashed his car into a utility pole at 1:30 a.m. in Abington early Thursday morning. Abington Police who responded to the crash reported that Youngclaus needed assistance to stand when he exited the car. Youngclaus is alleged to have submitted to several Field Sobriety Tests on scene, which Abington Police report he allegedly failed. He also reportedly submitted to a Breathalyzer Test, which registered at 0.20% and 0.19% – these would be readings of more than 2.5 times the legal limit of 0.08%. Massachusetts Drunk Driving Laws afford persons stopped for suspected OUI / DUI to refuse the police officer’s request to submit to an Alcohol Breath Test. Although a refusal to submit to a BAC test may result in the loss of your Massachusetts Driver’s License for a period of 180 days (if you have no prior OUI Charges on your record), you should weigh this potential loss against the possibility of perhaps beating your criminal case if you refuse. This is because, under Massachusetts DUI Laws, an Alcohol Breath Test refusal cannot be used against you in the prosecution’s case. If you do agree, however, agree to submit to a Breathalyzer Test, you may still risk the loss of your Massachusetts Driver’s License for a period of 30 days if you blow a reading of 0.08% or higher. Boston OUI Lawyer Lefteris K. Travayiakis is available 24/7 for consultation on all Massachusetts Drunk Driving Law Violations, including Operating Under the Influence of Alcohol, Negligent Operation of a Motor Vehicle, and Motor Vehicle Homicide. 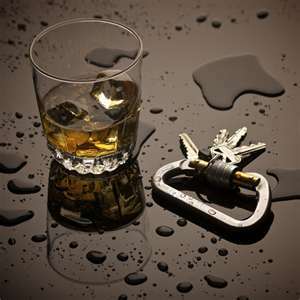 Click Here for a Free Consultation with a Boston DUI Lawyer or call 617-325-9500.